In one of the most extreme cases of downsizing yet, Ford has fitted a small 1.0-litre three-cylinder petrol engine into its Focus. The new engine will be available in two outputs. Buyers can pick from a 99bhp version, fitted with a five-speed manual gearbox, or a 124bhp version paired to a six-speed manual gearbox. Convincing car owners that a 1.0-litre petrol engine has the power necessary for their needs, however, could be a major problem. Ford has countered this with claims that, with a host of new technology including an advanced turbocharger, this engine offers more than adequate performance. The 124bhp engine, after all, produces the same power as the company’s existing naturally aspirated 1.6-litre petrol unit. It does this while also cutting emissions and offering improved economy. This new engine will cost nothing to tax in the first year, and just £30 to tax per year thereafter, thanks to exhaust emissions of 114g/km of CO2. That's a drop of 12g/km, and £95 in tax costs, compared to the 1.6-litre engine it replaces. At the same time economy is up from 47mpg, in the outgoing model, to a claimed average of 56.5mpg. So, it's a small engine with big benefits. These impressive figures make it considerably better, on paper, than the likes of the Volkswagen Golf 1.4-litre TSI with 121bhp. Emissions of 144g/km place the Golf in band F for road tax, meaning it costs £130 a year. Economy is also substantially lower, at a claimed 45.6mpg. 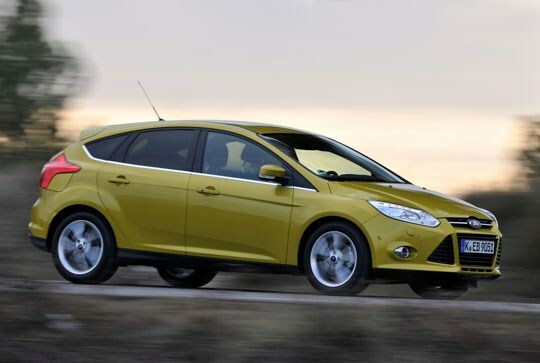 The Focus, with the 124bhp 1.0-litre engine, will go from 0-62mph in 11.3 seconds. That's pretty competitive compared to other cars with similar power. The 1.4-litre TSI Golf, for example, will do the benchmark sprint in just 9.5 seconds. That 1.8 second difference won't be hugely noticeable out on the road. The performance claims from the manufacturer may seem far-fetched, but for once this isn’t a wild PR fantasy. The engine feels almost diesel-like with plenty of low down pull on offer. This carries on right through the rev range, unlike most petrol engines. This means you aren’t caught out when overtaking traffic, and won't have to continually change gear. Something that is possibly even more impressive is the sound of the engine. Start the car and it’s incredibly quiet, and only the lights on the dash let you know the engine is running. Then, as you push the car harder, you’re met with an incredibly enjoyable three-cylinder rumble, rather than the usual thrashy and unpleasant exhaust note of a normal small petrol engine. The higher-powered engine comes fitted with a new six-speed manual gearbox. It’s incredibly smooth and precise, without a clunky and notchy feel. This can often be an issue when makers attempt to create gearboxes with more accurate gear changes. It may not seem like a big deal, as it’s just an engine after all, but the 1.0-litre EcoBoost is a significant advance in the world of petrol engines, While it may be easy to improve a car’s running costs, doing it without compromising performance is a major achievement. The 1.0-litre EcoBoost is available to order now, starting at £16,245 for the lower powered engine in Edge specification. The Estate version with the 99bhp unit starts at £17,345, also in Edge trim. The Higher-powered engine is only available from Zetec up and prices start at £17,745. The Golf and Focus continue to be neck and neck in the performance and running costs stake, but this new engine could push the Focus out in front. Excellent build quality and badge appeal continue to make the Golf very popular. The latest version of Hyundai’s Focus rival looks to have an awful lot going for it. The interior has been further improved, while the BlueDrive diesel engines mean lower running costs. Before you walk away with your fingers in your ears, the Italian maker has added an improved diesel engine along with a new automatic gearbox. 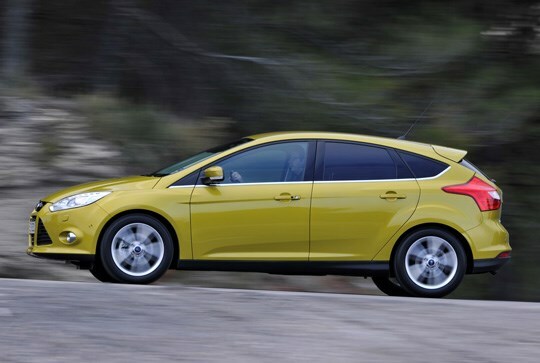 So, the good-looking hatchback now costs a lot less to run.